Mums Are Perennials You Know! 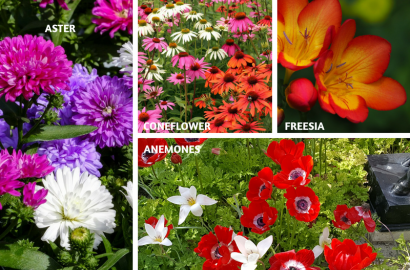 As we’ve mentioned previously annual flowers often get more attention than perennials but we think every garden should have a mixture of annuals and perennials. There are many advantages to having perennials in your garden including not having to plant them each year. They also typically don’t require as much maintenance as annuals do and they bloom for long periods of time and through different seasons. 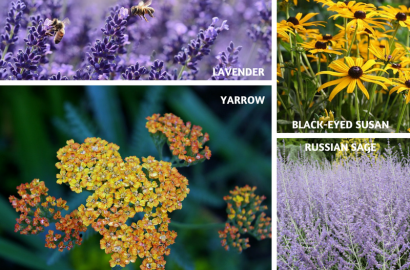 We’ve put together our top perennial picks and we’re sure you’ll find one for your garden. Many deer-resistant perennials plants are scented which is a huge deterrent to deer and other critters but is often quite attractive to gardeners. If you live in an area where deer are an issue, here are some plants that are worth investigating for your garden. Astilbe – Need a flower for a moist shady spot in your garden then why not try growing Astilbe. It blooms in late spring and early summer with feathery white, red, lavender or pink flowers. Even after they finish flowering their fern-like foliage is quite attractive and they are oh so easy-to-grow. They are hardy in zones 4 – 8. For more information, read our article on this flower. Daffodils – Daffodils are spring-flowering bulbs with trumpet-like flowers that come in different colors and sizes. Deer and rabbits avoid them and they reliably come back year after year. They often also spread, meaning you will have more flowers in your garden for years to come. Plant Daffodils in the sun or partial sun and they are hardy in zones 3 – 9. Find out more about Daffodils in our blog post. Persian Lily – If you want an unusual flower for your garden, try this one. This flower is also known as Fritillaria Persica and produces many deep purple, almost black bell-shaped flowers that can grow up to almost 3 feet tall. Persian Lily is native to the Middle East. It flowers in mid to late spring, loves the sun and is fragrant. The flower is hardy in zones 4 – 8. Camassia Quamash – We recommend this pretty native flower that blossoms in the late spring with blue-purple flowers. The flowers are star-like spikes with sword-like leaves. It was once grown as a food crop by Native Americans. It is also a great pollinator plant. Camassia Quamash prefers moist soil and grows well in sun or shade. Hardiness zones 3 – 8. Snowdrops – Snowdrops are one of the flowers that ushers in spring’s arrival. These delicate white bell-shaped flowers with green underneath are available in single and double varieties. This flower has a light, sweet fragrance. Snowdrops are easy to grow in well-drained soil and in a shaded location. In the right conditions, they will spread naturally. The flower is hardy in zones 3 – 9. Try plantings Snowdrops this year. Read our article on this flower. For those of you who live in an area that experiences drought, there are numerous perennials that love the sun and require very little watering. Once established, drought-tolerant plants make themselves quite at home under the hot sun with very little supplemental water. If you live in a drought-prone area or if you simply want to reduce your water bill, these drought-resistant plants are a great choice for your garden. Be sure to give them a bit of care and regular waterings, when they're young, and they'll repay you by staying strong and beautiful when dry spells hit. Yarrow – This flower is also known as Achillea. It is easy to grow and requires very little maintenance. The flower comes in several colors including orange, pink, red, yellow, and white and is commonly used in wildflower and cottage gardens. It loves the sun but does not do well in damp soil. Yarrow is hardy for zones 3 – 10 and new varieties of this flower with richer colors have been introduced in the last several years. Learn more about Yarrow. Lavender – Lavender is an herb and is known for its heavenly scent. There are many varieties of Lavender and they typically have gray-green or silver foliage and come in different colors besides purple (blue, pink and white). This plant thrives in the sun and needs well-drained soil. Water the plant deeply but not often. The plant blooms from spring into summer. Lavender has been shown to have health benefits such as relieving stress and assisting with restful sleep. 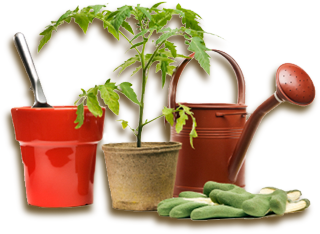 Hardiness zones 5 – 10. Learn more about the benefits of Lavender in our blog post. Black Eyed Susan – Rudbeckia Hirta is the scientific name for Black-Eyed Susan, a popular Wildflower. This plant is native to North America and is in the Sunflower family. The plants can grow to over 3 feet tall, with leaves of 6 inches, stalks over 8 inches long and flower diameter of 2 to 3 inches. The flower blooms June – October and prefers the full-sun. These flowers will re-seed themselves prolifically and are also deer-resistant. Hardiness zones 3 – 9. Russian Sage – This plant has tall wands of blue or lavender flowers with silvery foliage. 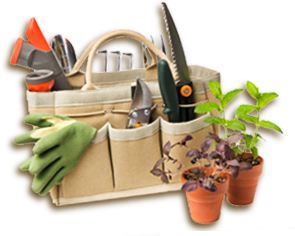 You will get blooms from late spring to autumn and spring and summer care is mainly pruning. Russian Sage grows best in full sun and well-drained soil. Hardiness zones 4 – 9. Easy to grow perennials are great for any gardener, especially the beginner but even experienced gardeners can find themselves too busy for the extra chores and maintenance that comes with the garden calendar. 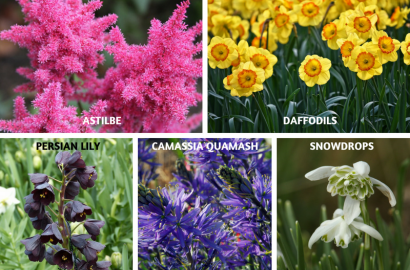 The perennials listed here don’t need to be divided every year, tolerate a wide range of growing conditions, won’t take over the garden with aggressive spreading, and best of all, are known to bloom for a long time. They show that a garden can be both beautiful and easy to care for! Aster – These colorful flowers are daisy-like and bloom from late summer to autumn, so they continue the color in your garden when your other flowers are fading. Asters prefer cool climates and should be planted in full to partial sun and in soil that should be moist and well-drained. Hardiness zones 4 to 8. Coneflower – Coneflowers are also known as Echinacea and are a Native American flower. They are virtually indestructible; enduring hot dry summers and withstanding cold winters. Purple is the most common color but they also come in other colors as well. These flowers bloom in the summer and will continue to flower until it frosts. Coneflowers prefer full sun but will tolerate afternoon shade. Hardiness zones 3 to 9. To get more details on growing Coneflowers, see our blog post on this Perennial. 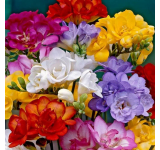 Freesia – This plant is one of the world’s most popular cut flowers. They are brightly colored and come in single and double flowers. Freesias are winter hardy in zones 9 – 10. In other zones, you can grow them as annuals or dig them up and store them in a garage or basement to plant again next year. Plant them in the spring for summer flowers. They prefer full sun or partial shade and prefer cooler weather. If it gets too hot, they might not bloom. Anemones – Another name for Anemones is Windflower. There are numerous varieties of this flower. Some are planted in the spring and some in the fall. Hardiness will vary depending on the variety. Plant Spring bloomers in the fall and fall bloomers in the spring. Anemones are pretty low maintenance. They also look great in vases as cut flowers. For more information on this flower, see our article on Anemones. Next week we will continue this post by looking at Shade Loving and Sun Loving Perennials.